1985-1990 The original versions of the games found in Adventure Games Live 's The Early Years and More Early Years are written in Applesoft BASIC. 1990 The original versions of Enchanted Forest are written in BASIC, using colored ASCII for graphics. 1990-91 The rules to Pickle are formulated, which would later appear in the Pips feature in 2004. Pickle would be the only original game in the Pips collection created before 2002. Fall 1991 The original console-based version of Fantasy Quest is written in BASIC. A port of the game would later debut with Adventure Games Live . 1993 Work on the original console-based UNIX version of Murkon's Refuge begins. It is later put aside for two years before being completed. 1994 The first version of Fnames , a UNIX/C program later ported to the web as Fantasy Name Generator is written. It would undergo numerous enhancements and revisions over the next year or so. Summer 1994 The Duel of the Ages is written under the original title The War . September 1994 First public release of the text version of The Apogee FAQ . February 1995 The Apogee FAQ is ported to HTML and placed on the web as a standalone feature. 1995 The original console-based UNIX version of Murkon's Refuge is completed. June 17, 1995 The web version of The Apogee FAQ is disbanded. September 13, 1995 Lights & Noises is written (though it would not become a part of RinkWorks for another four years). Early September 1996 Computer Stupidities is created as a text document that is not extensively distributed. September 1996 At-A-Glance Film Reviews opens on the web as an independent feature. May 7, 1997 A new "Recommendations" section opens on At-A-Glance Film Reviews with sections for Fantasy Epics, Horse Movies, and Swashbucklers. More were soon added; later, the section would be changed from "Recommendations" to "Films By Genre." May 20, 1997 At-A-Glance Film Reviews goes down for a day or two. I accidentally delete all my reviews and, in spite of my strong belief in backups, don't have one. The system administrator (the site was then hosted by my school) restores everything from their tapes. September 16, 1997 The short story Strong Woman is completed (having been started the previous day). Three years later, it would appear in Story Hunt as Strong Woman and the Siege . October 2, 1997 Strong Woman and the Renegade is completed (having been started on September 18). It later appeared in Story Hunt under the same title. December 1, 1997 Dave posts a review of the movie Carnosaur on At-A-Glance Film Reviews which later became the basis for The Filmmaker's Exam . December 8, 1997 RinkWorks first appears on the web as a brand name. The main page lists, in the following order: At-A-Glance Film Reviews (which previously existed), Book-A-Minute SF/F (which opened at this time), The Apogee FAQ (version 6.0 and a new web-based format opened at this time), The Everett Kaser Software FAQ (which was listed as coming soon), Computer Stupidities (which was also listed as coming soon), and The Filmmaker's Exam (which opened at this time). January 27, 1998 The Computer Stupidities web site opens. April 1, 1998 Dave's Somewhat Complete SF/F Writers' Resources , which previously existed as a stand-alone feature of Dave's, joins RinkWorks . April 8, 1998 RinkWorks gets its own domain name: www.rinkworks.com . April 29, 1998 The Dialectizer opens with just the Redneck, Jive, and Elmer Fudd dialects. May 1998 Book-A-Minute Bedtime opens. May 13, 1998 The first entry is made in the Site Journal . May 28, 1998 The Swedish Chef dialect is added to The Dialectizer . May 29, 1998 Don't Throw a Brick Straight Up opens. June 4, 1998 The Moron dialect is added to The Dialectizer . June 8, 1998 The Pig Latin translator is added to The Dialectizer . June 15, 1998 The Cockney dialect is added to The Dialectizer . June 22, 1998 The first version of The Everett Kaser Software FAQ (both text and web versions) is released. June 27, 1998 Brain Food opens. July 16, 1998 After problems arising from the system resources required by The Dialectizer , RinkWorks goes down. An ill-arranged move to a different web hosting service takes RinkWorks out for eleven days. July 27, 1998 RinkWorks comes back up on the new web hosting service. We switched back three months later. Also, I Think opens. July 30, 1998 Dave's Somewhat Complete SF/F Writers' Resources moves to the www.rinkworks.com server. August 6, 1998 Crazy Tales opens with only the "Original Stories" and "Classic Stories" sections. August 12, 1998 The Reader Survey is posted. August 19, 1998 The first message is posted to the RinkWorks Message Forum . August 23, 1998 Slapdash City opens. August 31, 1998 Book-A-Minute Classics opens. September 8, 1998 The Duel of the Ages opens. It had actually been finished for about a week, but its release was delayed to distance it from the opening of Book-A-Minute Classics . September 9, 1998 My second web hosting service has problems with the system resources consumed by The Dialectizer and shuts the web page portion off. September 15, 1998 A "random movie review" link is installed on At-A-Glance Film Reviews . September 17, 1998 I complete and install a rewrite of The Dialectizer that is much lighter on system resources. September 22, 1998 The first mailing is sent out to the RinkWorks Mailing List . September 23, 1998 The first RinkWorks Site Market Game begins. October 7, 1998 Things People Said opens. October 16, 1998 RinkWorks switches back to its original web hosting service. This time the switch is seamless. November 2, 1998 Dave posts a message to the RinkWorks Message Forum asking for readers to vote for the book he reads and condenses next. November 6, 1998 An automatic voting system is installed on Book-A-Minute for future book elections. November 11, 1998 EquiWorks opens. November 14, 1998 The main RinkWorks page is reorganized so that the features would be sorted by topical category rather than by "feature" or "featurette." November 18, 1998 Adventure Games Live opens with only The Trainer , Fantasy Quest , and a "coming soon" notice for The Game of the Ages . November 30, 1998 Movie-A-Minute opens. December 16, 1998 Enchanted Forest opens. December 28, 1998 The web page portion of The Dialectizer is shut off temporarily again due to the exponentially increasing number of people using it. January 8, 1999 How To Be Funny opens. Also, the web page portion of The Dialectizer is reactivated. January 9, 1999 This timeline is first posted. January 21, 1999 The web page portion of The Dialectizer is disabled again. January 27, 1999 The Classic Games site opens. February 10, 1999 The web page portion of The Dialectizer is brought back up with a restriction on how many people can use it simultaneously. A bug occurs where the script falsely reports other simultaneous users when there are none; thus, it is unavailable for much of the day. This bug is fixed on the morning of the following day. February 22, 1999 It's a Bad, Bad, Bad, Bad Movie opens. March 12, 1999 The reader reviews section opens on It's a Bad, Bad, Bad, Bad Movie . April 7, 1999 The "RinkWorks Excerpts" section is added to Crazy Tales . April 9, 1999 Really Bad Jokes opens. Computer Stupidities surpasses 1000 anecdotes. April 23, 1999 I Think is broken up into subpages instead of all being on a single page. Coincidentally, it also passes the 100 thought mark. May 19, 1999 "Random" links are installed on It's a Bad, Bad, Bad, Bad Movie , I Think , and Really Bad Jokes . June 11, 1999 The front page on Brain Food is reorganized into a table format. The Enchanted Forest high score list surpasses 10000 scores. July 2, 1999 Trivia Stampede opens with the RinkWorks , Bible, Academy Award, Word, Horse, and James Bond categories. July 9, 1999 The RinkMail service opens. July 11, 1999 A new Trivia Stampede category, Spelling Bee, debuts. July 18, 1999 Fantasy Name Generator , a web port of the UNIX/C program Fnames version 2.4, opens. July 29, 1999 The 5000th message is posted to the RinkWorks Message Forum . September 7, 1999 A new Trivia Stampede category, Auto Racing Trivia, debuts. September 9, 1999 Hints pages were added for the games on Adventure Games Live . September 10, 1999 A new Trivia Stampede category, Card and Board Game Trivia, debuts. September 14, 1999 How To Be Romantic opens. Also, a contest to come up with what the acronym "RINKWORKS" might stand for begins in the RinkWorks Message Forum . September 22, 1999 The RinkWorks acronym contest is judged; a new Contests page is opened to provide the rules and results for this and future contests. September 24, 1999 Hacking takes RinkWorks down. The site is restored the next day. September 27, 1999 A new Trivia Stampede category, Cow Trivia, debuts. October 4, 1999 "Top 10 Players" replaces "Top 10 Scores" on the Enchanted Forest scoreboard. October 6, 1999 A site index column is added to the front page. Also, the first Reader Poll question is posted. November 2, 1999 The 10000th message is posted to the RinkWorks Message Forum . November 9, 1999 The front page layout is tweaked so the Site Index starts higher, next to the header banner. November 10, 1999 RinkWorks Greeting Cards opens. November 19, 1999 RinkChat opens. November 22, 1999 Logos are created and installed for seven of the RinkWorks features that didn't have any: the Site Journal , the Message Forum , RinkChat , the Reader Poll , the Mailing List , Contests , the Site Market Game , and the Reader Survey . The Site Journal 's subtitle, "Gab and Gossip," is dropped. November 23, 1999 Logos are created and installed for Contests , RinkMail , and Greeting Cards . November 29, 1999 The feature description listing is moved from the front page to a new Site Guide page; in its place, a brief listing of new content and spotlights on existing content is added. December 8, 1999 Lights & Noises opens. December 16, 1999 The Official RinkWorks Couple is announced. December 20, 1999 The transcript archive page of RinkChat opens. January 14, 2000 Poetry Pool opens. January 21, 2000 The first annual Stupid Day celebration occurs with updates to Don't Throw a Brick Straight Up , Computer Stupidities , It's a Bad Bad Bad Bad Movie , and Things People Said . A Stupid Day section had opened in the Greeting Cards area a few days earlier. February 29, 2000 The front page of Crazy Tales is reorganized into a table format. March 10, 2000 Insults were added to the Fantasy Name Generator , bumping the script version up to 1.1. March 22, 2000 Enchanted Forest II opens. May 10, 2000 The web page portion of The Dialectizer is closed to all but the RinkWorks site itself. May 17, 2000 Pea Soup for the Cynic's Soul opens. May 25, 2000 The front page of Computer Stupidities is reorganized into a table format. June 5, 2000 The web page portion of The Dialectizer is brought back up, this time with robot exclusion support, the infamous Microsoft IIS web server bug fixed, and improved HTML parsing. June 12, 2000 Story Hunt opens. June 23, 2000 The Hacker dialect is added to The Dialectizer . June 26, 2000 The "Articles" section opens on At-A-Glance Film Reviews , with the "Great Comedies" and "Letterbox Vs. Pan-n-Scan" articles. September 11, 2000 The Mystery of Brackly Hall opens on Adventure Games Live . November 9, 2000 The Perils of Akumos opens on Adventure Games Live . November 15, 2000 The preview page in the Message Forum is expanded to allow you to make corrections right there; this fixes problems some people were having where hitting the "back" button caused the message to disappear. January 12, 2001 The Game of the Ages opens on Adventure Games Live . January 21, 2001 The Adventures of Smart Man opens as part of the second annual Stupid Day celebration. January 26, 2001 A new version of RinkChat is released that permits users to create their own public or private rooms. February 19, 2001 How To Be Persuasive opens. April 18, 2001 Dave's Somewhat Complete SF/F Writers' Internet Resources is moved off RinkWorks to its new home at http://www.writesff.com/resources/. May 6, 2001 Fun With Words opens. August 21, 2001 A new Trivia Stampede category, Video Game Trivia, debuts. August 26, 2001 Difficulty ratings are added to Adventure Games Live . August 29, 2001 Trail of Anguish opens on Adventure Games Live . September 20, 2001 Puzzle Games opens. October 2, 2001 The Message Forum splits up into three separate boards, with new threads disallowed on the first: RinkWorks Board #1 , RinkWorks Board #2 , and Hints Board . January 12, 2002 Mushy pet names are added to the Fantasy Name Generator , bumping the script version up to 1.2. The Simple Interface , which contained only a "Generate Names" button, is removed, and the Flexible Interface is renamed the Simple Interface . January 21, 2002 Idiot names are added to the Fantasy Name Generator , bumping the script version up to 1.3, as part of the annual Stupid Day celebration. February 8, 2002 The 50000th message is posted to the RinkWorks Message Forum . March 15, 2002 RinkWorks Gifts opens. Also, the main page and the Site Guide are prettied up with blue menu and title bars. March 23, 2002 Murkon's Refuge opens. March 29, 2002 Really Bad Jokes surpasses 500 jokes. May 1, 2002 The Middle Earth Trivia and Angband Trivia categories open on Trivia Stampede . August 8, 2002 A username/password email reminder feature is implemented for Adventure Games Live . August 9, 2002 A username/password email reminder feature is implemented for Enchanted Forest . September 15, 2002 RinkMail is discontinued due to unacceptably poor service from BigMailBox, the company that provided the service. September 22, 2002 Fantasy Quest II opens on Adventure Games Live . October 7, 2002 The first Site Market Game in over two years is announced (which would start on the 13th) after the scripts that run the game are automated, allowing games to run without any manual intervention. December 22, 2002 The Computer Game Trivia category opens on Trivia Stampede . January 13, 2003 The Best Films of the 1990s is added to the "Articles" section on At-A-Glance Film Reviews . January 18, 2003 Academy Awards Predictions Game opens. February 22, 2003 RinkChat is upgraded to use the v0.14 beta version of the RookChat engine. March 13, 2003 Two new artist pages, for Billy Wilder and Steven Spielberg, are added to At-A-Glance Film Reviews . March 14, 2003 A new genre page, Movies On Movies , is added to At-A-Glance Film Reviews . June 2, 2003 The 2000th review is posted to At-A-Glance Film Reviews . July 15, 2003 RinkWorks Gifts closes. August 5, 2003 RookChat v1.0 is released, and its home page opens. September 1, 2003 The first September Blitz occurs: a new update every weekday throughout the month of September, accompanied by a pledge drive notice. September 5, 2003 RookChat v2.0 and v2.01 are released. September 12, 2003 FNN opens. September 19, 2003 The Geography Trivia category opens on Trivia Stampede . October 30, 2003 RookChat v2.1 is released. January 27, 2004 The Film-Lover's Check List opens. March 5, 2004 The Car Trivia category opens on Trivia Stampede . April 1, 2004 Monster Arena opens. April 21, 2004 Pips opens. May 17, 2004 RinkWorks Subscriptions become available. The RinkWorks Museum opens. May 22, 2004 A playable demo of Starlight Sacrifice , an upcoming Adventure Games Live game, opens in the subscription-only area. Also, the RinkWorks Museum gets its own logo. August 11, 2004 Without any changes to any of the RinkWorks code, the server it runs on, or its network traffic patterns, suddenly the load on the server skyrockets. The CPU usage reports spike, and web page loads, particularly for RinkChat , take an unacceptably long time. A collaborative effort with Dreamhost to track the problem down begins; ultimately, it is unsuccessful. The site's daily traffic levels drop 40% as the problem goes unresolved for the rest of the month. September 1, 2004 A new account on a faster machine with a new hosting service provider, set up some days previously, becomes active when the DNS servers for the rinkworks.com domain is changed. For simplicity, no Monster Arena tournament runs in September. The Site Market Game in progress does not get a price update, and the price changes to follow are skewed as the DNS change propagates. The second annual September Blitz begins, retroactively for most users, whose DNS settings won't update to the new server until the next day or later. September 3, 2004 Various specialized name templates are added to the Fantasy Name Generator , bumping the version up to 1.4. September 17, 2004 The 1990 BASIC versions of Enchanted Forest are released as subscriber-only downloads. September 21, 2004 The web page portion of The Dialectizer is rewritten in Python to overcome some incompatibilities the old Perl version had with the new machine. It hadn't been working since the server switch, but the problem went undiagnosed for quite a while. September 24, 2004 The Genres II page is added to The Film-Lover's Check List . September 30, 2004 The Comic Book Trivia category opens on Trivia Stampede . November 15, 2004 Adventure Games Live is switched over to use the completely rewritten Smash engine. Moments later, the new game Outlaws of the Sierra Nevadas opens. January 30, 2005 The Early Years opens on Adventure Games Live . February 22, 2005 The Stoddard page is added to The Film-Lover's Check List . March 16, 2005 RinkWorks Gifts reopens. Besides the previously available RinkWorks souvenirs, souvenirs for The Dialectizer and Fantasy Quest are also available. April 5, 2005 A search box is added to the main page. April 19, 2005 The Film-Lover's Check List is enhanced with the ability for users to create their own pages of movies. May 5, 2005 The Role-Player's Vault opens with the new game Murkon's Vengeance . Murkon's Refuge is moved to be contained in The Role-Player's Vault as well. August 2, 2005 RinkWorks Graffiti opens with two graffiti images originally created in 2002 and 2004. August 22, 2005 The Reader Survey closes. September 9, 2005 The Fantasy Novelist's Exam opens. September 23, 2005 RookChat v3.0 is released. November 25, 2005 Search features are added to Really Bad Jokes and I Think . December 13, 2005 Escape From St. Mary's opens on Adventure Games Live . January 21, 2006 Elsa is added to Slapdash City as part of the annual Stupid Day celebration. April 10, 2006 The Word Searches page is added to Brain Food , and interactive controls are added to the Logi-Number pages so the puzzles can be solved online. August 5, 2006 The 100000th message is posted to the RinkWorks Message Forum . October 3, 2006 All Movie Talk opens. October 30, 2006 Fairy Tale Stew opens, with only the first four stories initially available. Eight more roll out over the course of the next two weeks. 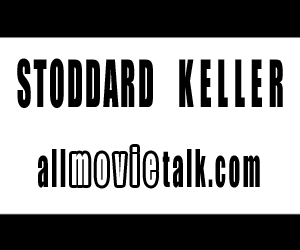 September 25, 2007 The 52nd and final All Movie Talk episode airs. October 22, 2007 More Early Years opens on Adventure Games Live . February 4-22, 2008 Ultimate Bot Tournament #4 takes place, during which time the basic storyline for The Mystery of Paradise Island is improvised and performed. March 7, 2008 Writing on the first draft of The Mystery of Paradise Island begins. January 26, 2009 The Mystery of Paradise Island becomes available for purchase. March 9, 2009 The Cat's Meow becomes available for sale from The Duel of the Ages . March 13, 2009 The "What's New" section on the main page gets an RSS feed. March 20, 2009 The RinkWorks Graffiti feature gets an RSS feed. April 30, 2009 Sinbad Comic opens. January 1, 2010 The EquiWorks Photo-A-Day project begins. February 7, 2010 Many new features are added to The Film-Lover's Check List , including each title linking to the IMDb. April 11, 2010 A new playable demo of Starlight Sacrifice opens on Adventure Games Live . April 29, 2010 Season 2 of Sinbad Comic begins. May 12, 2010 Assault On Vampire Island opens on Adventure Games Live . July 16, 2010 RinkWorks Greetings is discontinued, largely from the realization that the custom card service had been removed at some point within the last several years. December 30, 2011 Three mini-games, Snow Dragon , Break Away , and Escape! are released on Adventure Games Live . October 18, 2012 Season 3 of Sinbad Comic begins. November 9, 2012 The Studio Movie Trading Game opens. December 6, 2014 African Adventure opens on Adventure Games Live . March 29, 2018 Season 4 of Sinbad Comic begins.